As an embedded developer you may not think that it is important to understand all the details of how the hardware works. All you need is a development board and your PC to create the code and your away. At the very beginning this viewpoint may apply, but if you really want to get the most out of your designs you’ll benefit from knowing how the hardware works as well. I’m not going to cover all the nasty detail they’d take you through in engineering classes, but I’ll start with some fundamental concepts to provide a foundation for learning the stuff you’ll actually use. The first three or four lessons will build this foundation and then we can branch out into more practical aspects of Embedded Hardware design. I think I’ll begin our discussions with a quick review, or introduction if you’re completely unfamiliar with circuit design. 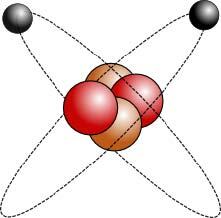 Our starting point is the electron. Now, why would we care about an atom? Well, if you think about another name for hardware, electronics, you may find the answer. All the cool things we can do when designing circuits are possible becuase of the electron. Controling how and where electrons move is the goal of circuit design. So let’s have a closer look a this little particle. When scientists were playing with electricity a in the 1800’s they decided to assign a negative charge to the electron. Conversely, the proton was assigned a postive charge. Here is an illustration of an isolated electron and an isolated proton. We typically draw lines as shown going into an electron and out of a proton. These lines represent the electric field produced by each particle. So then comes the question, ‘What is an electric field?’. 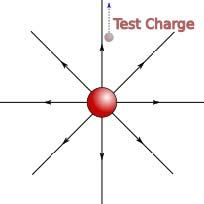 Basically an electric field is the force exerted by one charged particle on another charged particle. What does that mean? Let’s look at an example. We’ll bring two protons close to each other. See how the electric field lines bend as the two protons get closer and closer. Those bent lines indicate that two particles are pushing each other away. So we learn a couple of things from this example. 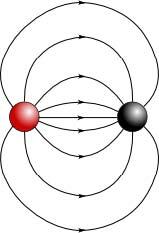 Two positive charges repel each other (push each other away). If we let the particles go, they both go in opposite directions to get away from each other. The closer the the two charges get, the harder they push against each other. You need to push harder to get two particles closer to each other. Note that you’d get the same result if you tried to push two electrons together, they would also repel each other. But what happens if you bring a proton close to an electron? You can see that the lines leaving the proton now bend towards the electron. Also note that the arrows of the field lines point from the proton to the electron. These two things indicate that the proton is attracted to the electron. If we let these two particles go, they will race towards each other as the electric field pulls them together. See how the test charge would move away from the proton, as indicated by the blue dashed line. The field line arrow points the same way that pretend charge is moving. Obviously, a pretend positive charge would move towards an electron, so the arrows point toward the electron. To sum up, two same charges repel each other, while two opposite charge attract each other and the closer the charges are to each other, the stronger the force is between them. Who cares? It turns out that we need these electric fields to get anything done. Take a look at the diagram below. We’ve got a battery, a switch, and a light bulb. If we close the switch, we know the light bulb will glow. Why does it glow? Because electrons move out of the negative terminal of the battery and enter the positive terminal. It is the movement electrons through the light bulb that allow anything to happen. Basically, when we close the switch and electric field appears across the circuit. As we know from the what we just learned, this electric field will exert a force on the electrons in the circuit. The negative terminal repels the eletrons, while the postive terminal attract them. The voltage formed across a circuit is the result of electric fields. While voltage is the driving force in our circuits, it is the actual movement, net movement, of electrons that gets things done. It’s been drawn to show how the eletrons would be moving if this wire just sat on your workbench. Notice how all the eletrons are just moving about in random directions. In general the movement of one electron in a given direction will be cancelled by the movement of another electron in the opposite direction.We say the net movement electons in the wire is zero. They aren’t accomplishing much here. This is also a good time to comment about how easy it is for electrons to move around in the copper wire. You can see that they seem to be able to move up or down, left or right with little restriction. This what makes copper a good conductor. The electrons are able to freely move around and if they can get organized and create a non-zero net movement, then they can actually achieve something. So here’s the wire with a voltage applied. See how most electrons moving to the right. Most of the arrows lean to the right, indicating that the elctrons have a trend towards the positive terminal. Some electrons are still shown as tending to move toward the negative terminal, but there are way fewer of them, so they don’t completely cancel the majority of the electrons tending towards the positive terminal. We now have a net movement of electrons that is greater than zero. We call this net movement current and it is measured in Amperes (Amps for short). Now we can light the bulb. Okay, now that we’ve explored electrons, electric fields, voltage, and current, I’m going to tip things up on their head. That’s if for now. Next time: circuit fundamentals.